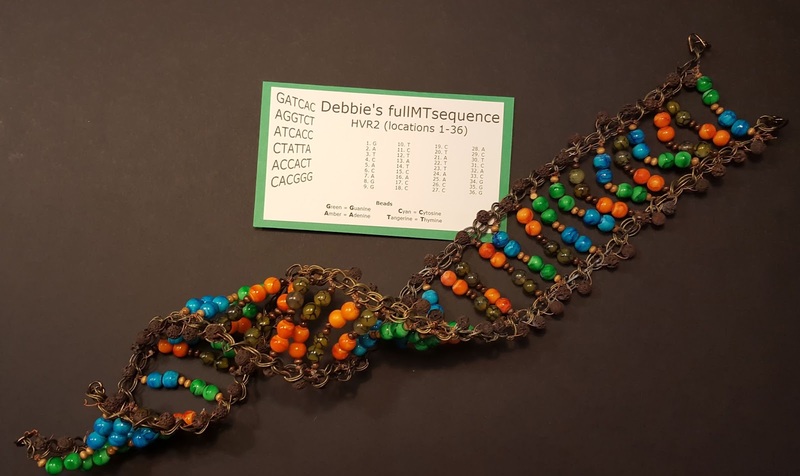 I wanted a DNA helix model to have at my vendor booth at the Texas State Genealogical Society conference where I will be discussing the Early Texans DNA Project and Genetic Genealogy in Practice written with Blaine. I wanted something classier than foam or styrofoam without spending hundreds of dollars. I came up with this idea for wire and beads. I realized the four colors of beads I picked to represent the GCATs could be called Green, Cyan (blue), Amber, and Tangerine (orange) so the first letter of the color matches the DNA chemical names Guanine, Cytosine, Adenine, Thymine. So I decided to make it a real map of the first rungs of the DNA ladder for my mtDNA sequence. I added small wooden beads to represent the sugar and phosphate binding agents. I still need to play with the twist but I think I am going to like using this at conferences and maybe even at institute courses! The helix is about three inches wide and twenty or so inches long. The size could be adapted using different sized beads and chains. 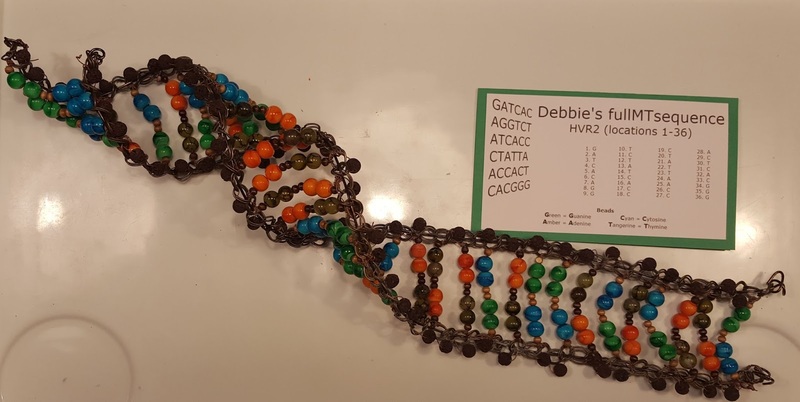 Debbie Parker Wayne, "DNA Helix beaded model," Deb's Delvings, 28 September 2016 (http://debsdelvings.blogspot.com/ : accessed [date]). I am a genealogist. I have a strong compulsion to know my ancestors. I have given up most other activities to follow this compulsion for years now, giving up even more after becoming obsessed with genetic genealogy. So, I can empathize with someone whose brick wall is with their parents or grandparents, whereas my brick walls are deeper in my family tree. I also recognize that I am my own person; a product of my upraising and my experiences in life. My genes were passed down by my ancestors, but not their deeds. I am not doomed because of the bad things they did. My karma isn't influenced by the good things they did. I make my own destiny. I know who my father is, but he had little to do with the person I am, having divorced Mom when I was only two-years old. I grew up in a household with no father. I grew up in a house with no grandfather; my grandmother was also divorced. I never felt that I missed anything due to the lack of men in my childhood even though this was a rare circumstance in the 1950s and 1960s. 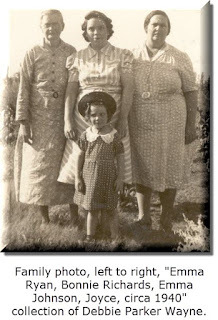 My character was strongly influenced by my mother and my other matrilineal line ancestors in the photo below. They passed on the idea that I should consider the feelings of others as well as right and wrong when making decisions. Too often today, in all areas of our lives, some have the idea that their way of looking at things is the only valid way and the way of the "truth." But there are no hard and fast rules. Ideas of right and wrong change over time, in different cultures, and with new experiences. My pre-teen and teen years encompassed enough of the 1960s for me to remember the teachings of tolerance and idealism. I may not respect all of the beliefs of others that are different from my own, but I respect their right to have those beliefs. What I can never respect is one person's right to force their beliefs on others. Family is so much more than a blood relationship or shared genes. One thing that impresses me with Griffeth's story is his understanding that our ancestors are people just like us, with shortcomings and imperfections, as well as honor. As much as he wanted to know the story of his biological father, he did not press his mother when he saw she was reluctant to discuss what she saw as a mistake she had made. He had empathy for his mother's feelings. This struck me as so different from the sentiments I often hear expressed today. While I have sympathy for any person who does not know their immediate ancestors and wants to know, I also empathize with the men who were told no one would ever know they were a sperm donor, the women who were told no one would ever know they gave their child up for adoption, or the women who had a moment of indiscretion or a great love affair that resulted in them giving birth to a child whose biological father is not the one named on the birth certificate. In an earlier time, the accepted cultural mores meant never being "outed." Yes, things have changed today, but many of us continue to believe in the morals we were raised with (or that we may have tortured ourselves with for years as we explored new philosophies). For those on all sides of the unknown parentage triangle who look forward to contact, I am happy for them. For those who do not, I have trouble accepting that any person should be forced to confess or accept something they may have tried to forget or that may cause them pain. Knowing your medical history is important. Modern DNA tests can provide a lot of information. All of the health history revealed by my DNA tests just confirmed what I already knew from analyzing the death certificates of family members. Without those death certificates I could learn that information from my DNA test. Not everyone feels the need to force a meeting with biological parents. Griffeth's book describes his acceptance. Some in my own family do not know the identity of their fathers or learned the identity after becoming an adult. One family member who contributed DNA for my family study said, "I don't really care one way or the other whether I learn who my father was. I know who my family is." Context and empathy are required when researching all types of records. Census, court records, and many others can reveal just as much as a DNA test can reveal about a family secret. Time may lessen the impact of learning of unexpected events in the lives of our ancestors. I am much more careful with twentieth-century court records that reveal children born to unmarried parents than I am of the eighteenth-century "bastardy bonds." I would never apply that terminology to events in recent decades, but it is an historical term that genealogists use without thought for events in the far past. Context. Empathy. Time. We should be willing to accept that not everyone else believes as we do. In my opinion, forcing anyone to confront an issue he or she is not ready to handle is wrong. Consider the consequences of an action on others before forcing an issue. Good philosophies to follow include the golden rule, "do unto others as you would have them do unto you;" the silver rule, "do nothing to others you would not have done to you;" and the Navajo saying about "walking a mile in the other guy's moccasins. "3 Respect. My colleague Karen Stanbary, CG, who is also a Licensed Clinical Social Worker cautions, "most adoption stories come from a place of profound pain or shame or both for the biological mother, and sometimes the father, too. We all have our own skill sets and defenses against pain and shame. Each person is unique in how much time and support one requires to be ready to take on the risk of additional pain or shame. One size never fits all." 1. 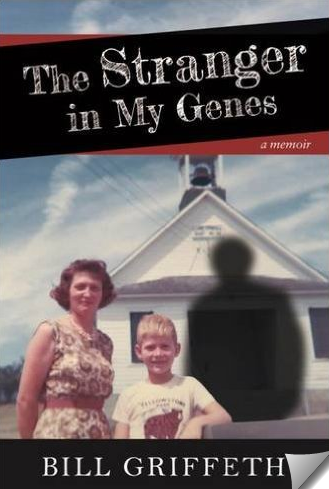 Bill Griffeth, The Stranger in My Genes: A Memoir (Kindle edition; Boston, MA: New England Historic Genealogical Society, 2016), location 1259. 2. Griffeth, The Stranger in My Genes, loc. 421. 3. Bill Puka, "The Golden Rule," Internet Encyclopedia of Philosophy (http://www.iep.utm.edu/goldrule/). Debbie Parker Wayne, "Respect and Rights," Deb's Delvings, 27 September 2016 (http://debsdelvings.blogspot.com/ : accessed [date]). The Council for the Advancement of Forensic Genealogy (CAFG) announced the 6th annual Forensic Genealogy Institute today. While I am excited to be teaching a track using the book Blaine T. Bettinger and I wrote, I am sad that I won't be able to attend the other track! The beautiful and historic Menger Hotel in San Antonio was also the venue for the 2016 Forensic Genealogy Institute. Some of the rooms are in the original 1850s section of the hotel, with modern conveniences added while keeping the historic charm of the rooms. The restaurant has great selections. The Alamo is right across the street. Plan to come early or stay after the institute to explore the Alamo and the San Antonio Riverwalk. The Council for the Advancement of Forensic Genealogy (CAFG) is proud to announce two first-time tracks—unique to CAFG—being offered at the 6th Annual Forensic Genealogy Institute to be held March 7-9, 2017, in San Antonio, Texas. Debbie Parker Wayne, "CAFG FGI - Two New Courses in March 2017," Deb's Delvings, 19 September 2016 (http://debsdelvings.blogspot.com/ : accessed [date]). I only have two more speaking engagements scheduled for the rest of 2016! That allows me to fit in some research time (travel to Salt Lake City to visit the FamilySearch library) and educational events (a DNA conference in Houston). 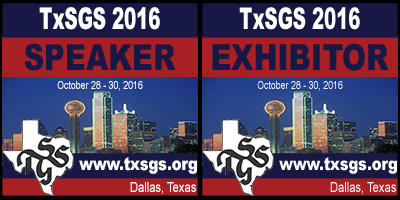 The Texas State Genealogical Society Family History Conference (http://www.txsgs.org/) runs from 28–30 October 2016 in Dallas, Texas. The featured speakers are Cyndi Ingle and Judy G. Russell. Many other national and local speakers will also be presenting some of the 72 sessions. Learn uses of X-DNA for genealogical research. This lecture uses case studies to demonstrate databases and analysis methods using X-DNA for genealogy. Dozens of genetic genealogy analysis tools are available. Some are scientific tools that genealogists can also use. Some are designed specifically for genetic genealogy. 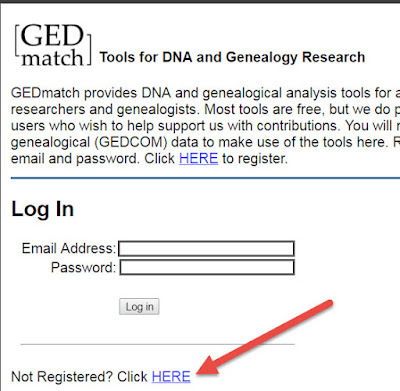 Learn to make use of these tools to advance your genealogical research. See the full conference schedule for Friday, Saturday, and Sunday. Pre-conference research activities are planned for Thursday, 27 October. I will have copies of Genetic Genealogy on Practice, co-authored with Blaine T. Bettinger, with me to sell and will sign copies. Payment methods accepted will be cash, check, or Paypal payments (Paypal link will be provided at the conference). 1 p.m., Thursday, 10 November, Houston, Texas: GATA GACC! DNA and Genetic Genealogy Today – Bear Creek Genealogical Society & Library – Westlake Volunteer Fire Dept. station, 19636 Salms Road. (I-10 West to the Fry Rd. exit; turn right / north and travel about five traffic lights; turn right on Salms Road and immediately see new building on left; turn left into parking lot, drive past building, enter at double doors in front of building, turn right into auditorium.) See also www.bearcreekgenealogy.org. 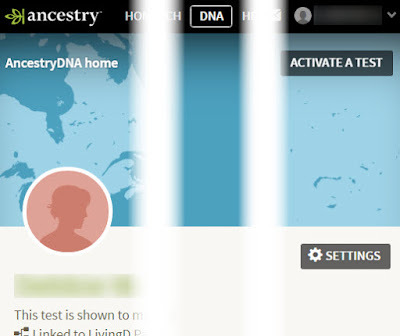 An introduction to all of the ways DNA can help with genealogical research and the tests available. Covers all four types of DNA (Y, mitochondrial, X, and autosomal) and basic genetics information needed to use DNA for genealogy. I hope to see many readers and friends at one of these events. Please stop by and say hi. 19 September 2016: Added address and directions for Nov. 10 event. Debbie Parker Wayne, "Upcoming Speaking Engagements - 4Q 2016," Deb's Delvings, 16 September 2016 (http://debsdelvings.blogspot.com/ : accessed [date]). Descendants of settlers who arrived in Texas by 19 February 1846 are one focus of the Early Texans DNA Project. Descendants of those who arrived later are also invited to join the project to help us learn more about the DNA of our ancestors who came to Texas. hover over "Projects" then click "Join a project"
scroll down to "Search by Surname"
change the "Equals" drop-down box to "Contains"
To send the additional information via e-mail, contact dna@txsgs.org letting me know you wish to have your DNA analyzed as part of the Early Texans DNA Project. If you already have a TxSGS Heritage Certificate (Texas First Families, Gone to Texas Pioneer, West Texas Pioneer, Greer County Texas Pioneer, Descendants of Texas Rangers) please include the certificate type and number so I can access you lineage information. If you do not have a heritage certificate, use this fillable PDF form for your lineage information. You will need similar proofs to what is required for the certificate programs, but do NOT SEND THE PROOF DOCUMENTS. There is no fee for the DNA Project at this time. The form can be e-mailed to dna@txsgs.org or mailed to Debbie Parker Wayne, PO Box 397, Cushing, TX 75760. 23andMe instructions for the "new experience" in 2016 will be added at a later date. 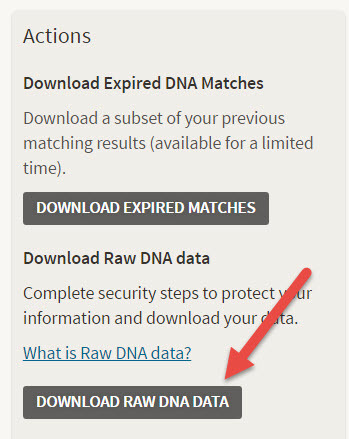 For pre- and early-2016 experience see this blog post with instructions on how to download your raw atDNA data. If you know how to download your raw data, do so, then follow the instructions on the GEDmatch website to upload that data to GEDmatch. After uploaded your data to GEDmatch, please go back and follow the instructions above labelled "Lineage Information" to send us your lineage information for the test-taker back to the Texas settler. Edited 9 September 2016: fixed link to PDF app and removed instructions to send proof documents with the app. 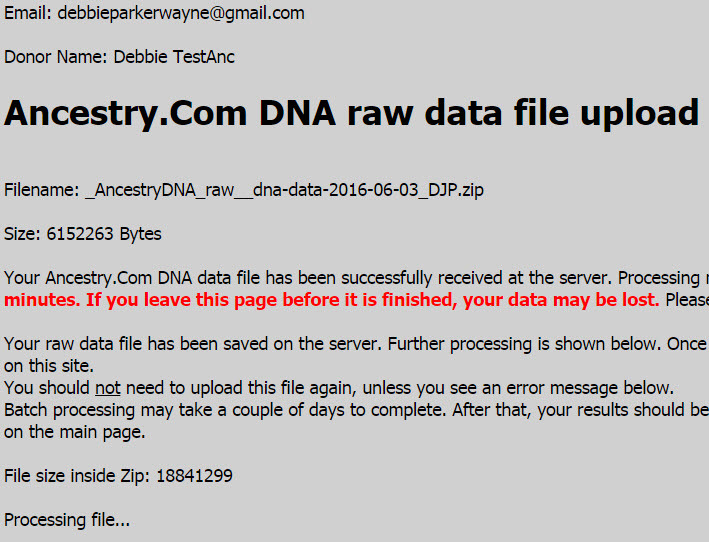 To cite this blog post: Debbie Parker Wayne, "Early Texans DNA Project at Texas State GS," Deb's Delvings, 6 September 2016 (http://debsdelvings.blogspot.com/ : accessed [date]). Finally!! The National Genealogical Society (NGS) announces Genetic Genealogy in Practice is available. 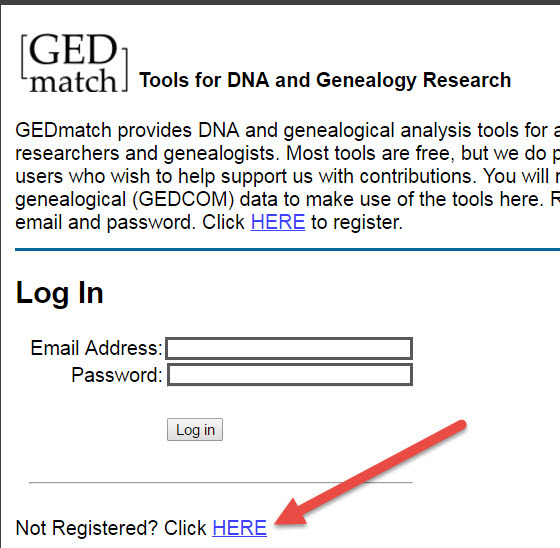 A "Learn more" information link at http://www.ngsgenealogy.org/cs/home leads to the order page which is now working. I hope this book helps genealogists use DNA to solve genealogical problems as much as we believe it will. This is the book I wish I had when I started learning genetic genealogy. Working with Blaine T. Bettinger was a fantastic experience. It was amazing how often we agreed on exactly how to handle each topic and unanticipated event during the writing, editing, and production process. Being in agreement with Blaine always boosts my confidence level in a conclusion. Each of us wrote some chapters then we passed the chapters back and forth making changes until we were both happy with the end-product. We had well-known genetic genealogists review the text and exercises then worked with a fabulous editor. The analysis techniques and methodology in the book should remain valid for a long time. Only a few items may change in the near future, such as when one of the testing companies changes their match algorithms or thresholds. The basic techniques will remain valid by incorporating any modified information. We worked diligently to include all of the information needed to get started with genetic genealogy, expand your knowledge beyond the beginner level, and test your understanding using exercises based on real-life cases. The answers are in the back of the book along with an explanation of the reasoning leading to that answer. We integrate the genetic analysis with genealogical analysis. Some of the information is beginner level, some is more difficult to challenge intermediate and advanced practitioners. Some concepts have not been written about much until now. You can learn more about the book and the process from our interview with Jane Wilcox of the "forget-me-not hour" podcast. My initial post announcing the book: New Book Coming Soon: Genetic Genealogy in Practice. This post contains a list of topics covered in the book. 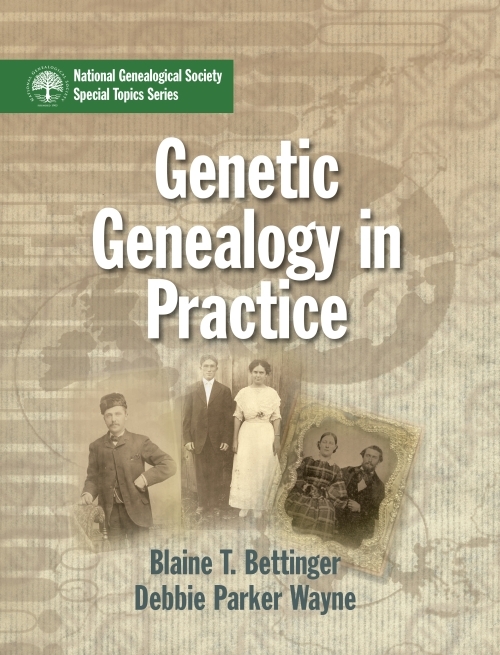 See Blaine's posts: Announcing “Genetic Genealogy in Practice” – A New Book Providing Genealogists with the Skills to Understand and Apply DNA. See the initial NGS announcement at COMING SOON from NGS -- Genetic Genealogy in Practice #NGS2016GEN. Edited 9 September 2016: order link is now working. Removed note that there was an issue with the link on 6 September. 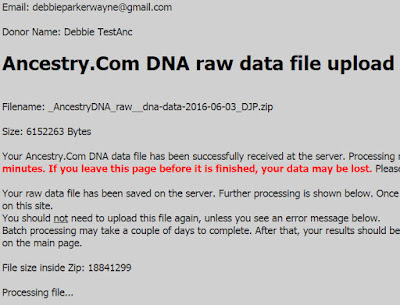 Debbie Parker Wayne, "Genetic Genealogy in Practice is HERE!," Deb's Delvings, 2 September 2016 (http://debsdelvings.blogspot.com/ : accessed [date]).